Determined to help clients find the solutions that are tailored to them makes Audrey an excellent asset throughout the buying and selling process. Utilizing the latest technologies, market research and business strategies, she exceeds expectations. 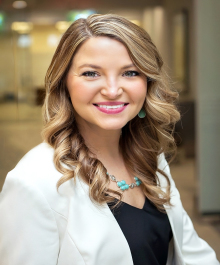 A marketing maven; prior to her real estate career Audrey was an Event and Marketing Coordinator, overseeing company events and a six figure marketing campaign using digital and print mediums. Audrey has a reputation of being transparent and personable with a passion for putting joy into homeownership. Audrey enjoys exploring the outdoors and traveling to new places around the world and in her own backyard of Downtown Northville. If you’re looking to sell or buy your home at the right price, Audrey can make it happen.